If you would like your business to be marketed regularly to over 33,000 homes in Stirling, Bridge of Allan and Dunblane and 28,000 homes in Clackmannanshire, then you need Love Local Magazine – currently the only magazine with such reliable and extensive distribution. Love Local Magazine aims to make readers fall in love with their local area, inspire then to step out and choose lifestyle and leisure activities and take full advantage of available loal services and resources. 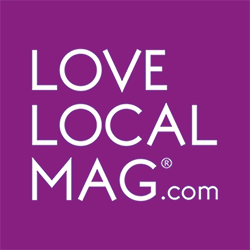 Love Local Mag brings local businesses and communities together to create a positive impact on the local economy. Each magazine is produced to a high quality with entertaining and informative, locally sourced content complemented by advertising for all business sectors. Our regular features include; Love Food and Drink, Love Fitness, Love Homes and Gardens, a what’s on guide and business services directory. There is a place for all businesses in Love Local Mag. Love Local Stirling is a bi-monthly publication, delivered by the Royal Mail to 33,000 homes and businesses across Stirling, Bridge of Allan and Dunblane by the Royal Mail. Love Local Clackmannanshire is a seasonal publication, delivered by the Royal Mail across all 27,000 Clackmannanshire homes and businesses by the Royal Mail. Deadlines for the next edition are just guides, we limited the amount of advertising in every edition to ensure there is plenty reader friendly editorial too. Regardless of deadlines, once advertising space is gone, it’s gone – so contact us today to book your space. Currently the only bi-monthly magazine delivered to 33,000 homes across Stirling, Bridge of Allan and Dunblane and now, 28,000 homes in Clackmannnanshire. Extensive and reliable delivery by the Royal Mail, ensuring there is no wastage of your advertising budget and your message goes direct to your local, target market. High quality design and print. Thicker cover allows for a more durable magazine, and quality “coffee table” magazine design encourages readers to retain or share each edition providing longevity for your advert. Optimum balance of locally sourced articles, covering a variety of topics and industries alongside supporting local advertising.